Whether you are buying or selling, the estate agent you deal with can make a big difference. You want to make sure you are working with an estate agent that will do the best job possible for you. Below, we take a look at what you should be expecting from your estate agent. One of the most important things you should get from your relationship with your estate agent is good communication. Your agent should be on hand to answer questions when you need them. They should be able to inform you of what is happening in the buying/selling process. You should not need to chase them relentlessly for information. At Castles, we know that regular communication is important. Which is why we make it a priority to be available to our each of our clients. When you work with us, we will be on hand to respond to any queries and we will keep you up to date on any developments in the process. You should expect your estate agent to be knowledgeable. 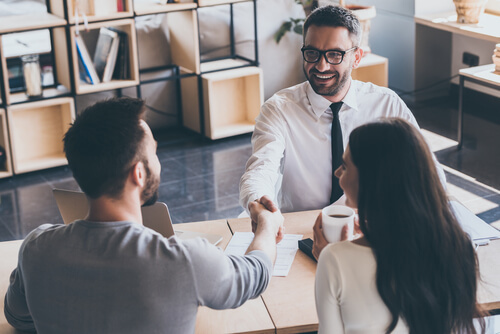 An inexperienced agent without knowledge of the market conditions, legal procedures and buying/selling process is not going to get you the best results. Our agents are very experienced when it comes to helping people buy and sell their homes. We are constantly keeping up to date with market trends and ensuring our knowledge of buying and selling is impeccable. With Castles, you can be sure you will be working with an estate agent who knows their stuff. Honesty is something we should expect from any service. Sadly, however, too many people have had to deal with dishonest estate agents. Look at your agent’s recent testimonials and you should be able to see if they are honest in how they deal with their clients. We operate under strict honesty standards here at Castles. We will never mislead our clients or cover up important information. We aim to be an estate agent you can trust. Therefore, you can always rely on our team for an honest, upfront service when buying or selling through us. Professionalism is key when dealing with an estate agent. Your agent should remain suitably professional at all times. Buying or selling a house is a serious thing. Therefore, it should be approached as such. 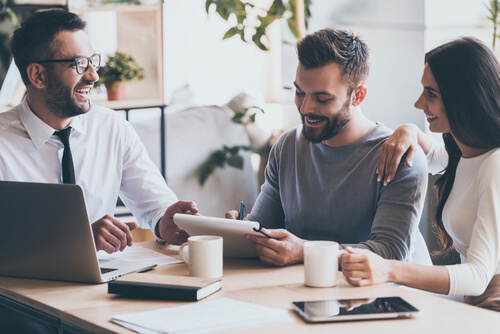 So, while your estate agent should be welcoming and friendly, they should always retain a professional air, so that you know that you are getting a professional service at a high standard. At Castles, we ensure all our agents are extremely professional whenever we deal with clients. Customers have commented on our remarkable professionalism and expertise when helping them to buy or sell. Maintaining a professional air is key to our excellent service. Ultimately, you should expect results from your estate agent. Proven results from past work and happy clients. Look through recent reviews to see whether past customers have been happy with their results. For many years, Castles have been helping people successfully buy, sell and let homes all over Swindon. Our proven track record is a testament to our success. If you’d like to learn more, give us a call or drop into our offices to chat with a member of our team. Check out some of the glowing reviews from customers on our website. We are thrilled to have been awarded 4.9 out of 5 stars by our valued clients. To read more, check out our reviews platform here. If you are looking for a reliable estate agent in Swindon, get in touch with us on 01793 611677 or by filling in our online contact form. Whether you are buying or selling, we can help you. At Castles, we go above and beyond for our clients. With a first-class, professional service and excellent after-sales support. Expect nothing less than the best from your Castles Estate Agent.